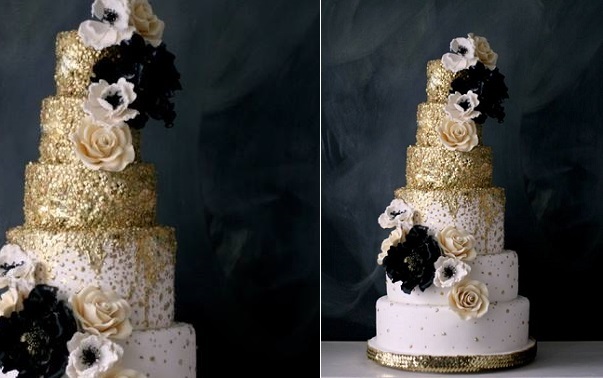 We have two of Lori’s stunning sequinned wedding cakes featured above and below, with her signature gilded gold finish paired with a blush pink and peach palette in the example above, and contrasting black and white creating drama in her equally stunning design below. 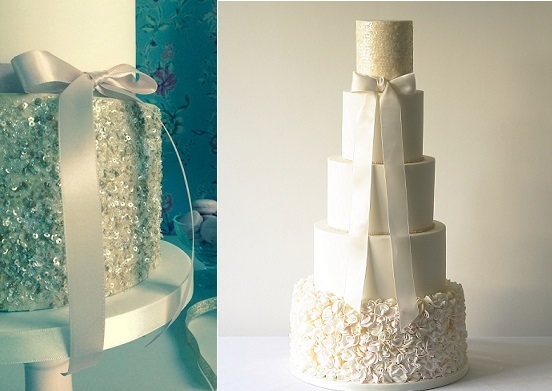 DeVoli Cakes of Wales have designed the exquisite vintage sequins wedding cake below, beautifully accessorised with lace and sugar flowers for a truly elegant design. 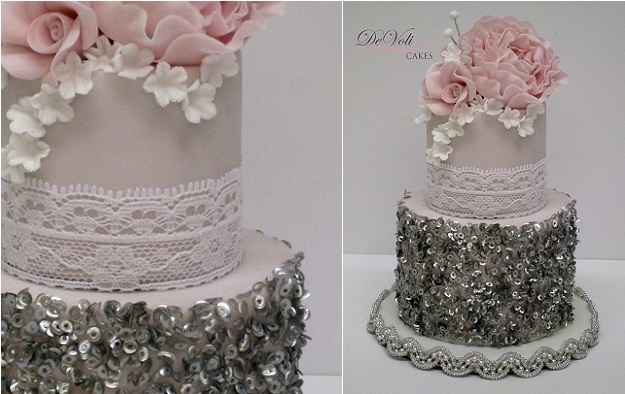 Edible sequins (the silver sequins used in the beautiful DeVoli Cakes design above) are available to buy online here: edible sequins . 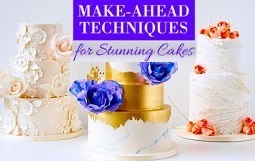 Aside from gelatin sequins, there’s also the super simple option of using edible confetti sprinkles, adhering them to your cake with piping gel and painting over them with metallic food paint. 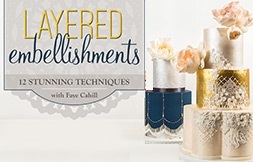 You’ll find a tutorial here from Minette Rushing Custom Cakes demonstrating this method: edible sequins tutorial (painted sprinkles method). 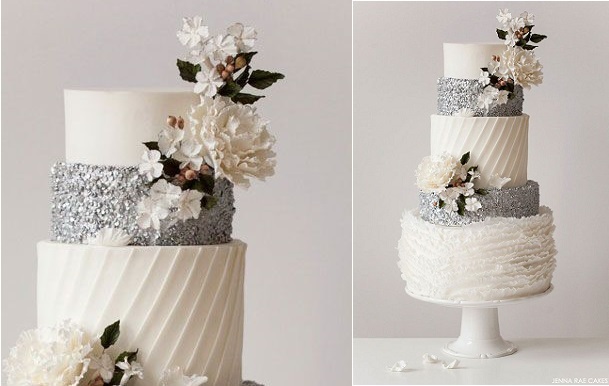 Metallic silver and gold sequins are a trademark also of the wedding cake designs in the beautiful Jenna Rae Cakes wedding cake collection, including the sparkling winter wedding cake design below (previously featured in our Pleated Cake Designs showcase). 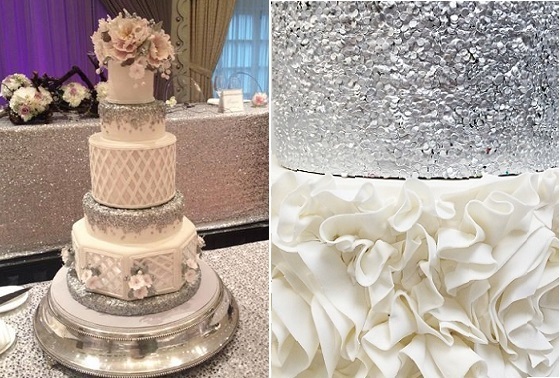 Ultra-glamorous silver sequins are paired with blush pink sugar flowers in the wedding cake below left by Anna Elizabeth Cakes. 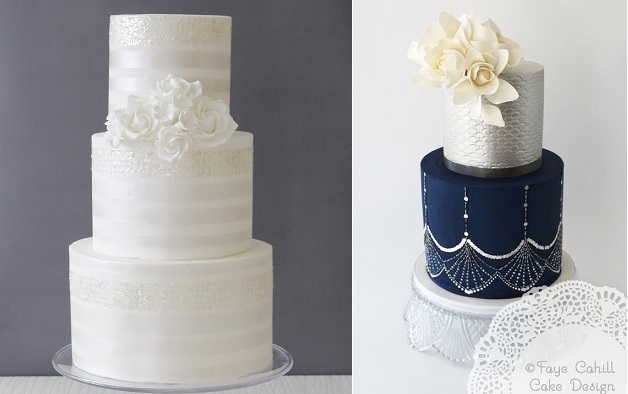 On the right, is a close-up of one the silver sequinned cakes from the Jenna Rae Cakes collection. 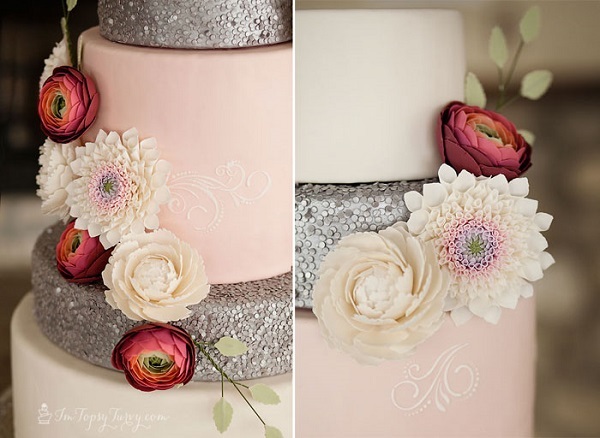 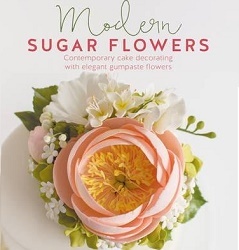 A selection of the most on-trend sugar flowers – dahlia, ranuncula and peonies – paired with soft pink icing and sparkly metallic sequins feature in the cake design below from the Ashlee Marie blog (you’ll find Ashlee’s edible sequins tutorial above) with image by Chelsea Peterson Photography. 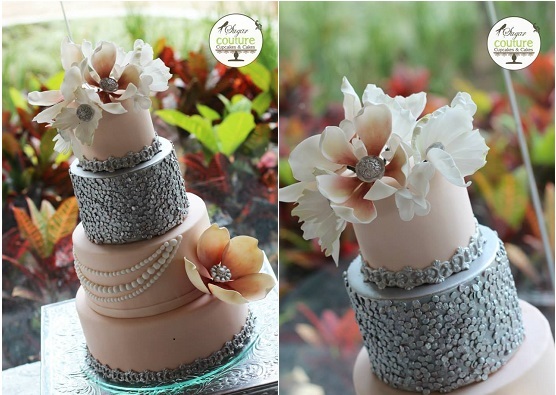 Sugar Couture Cupcakes and Cakes have also been using gilded sequinned effects in their cake designs, with one of their pretty silver vintage designs below. 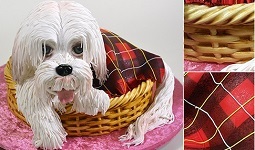 A close-up of one of The Caketress’s marvelous creations, below. 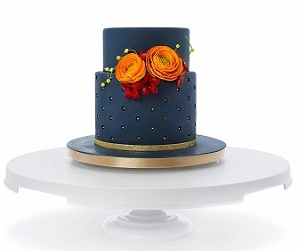 The Abigail Bloom Cake Company in London is using lots of pretty sequins in their cake designs also this year with a fabulous gold and peach design below left. 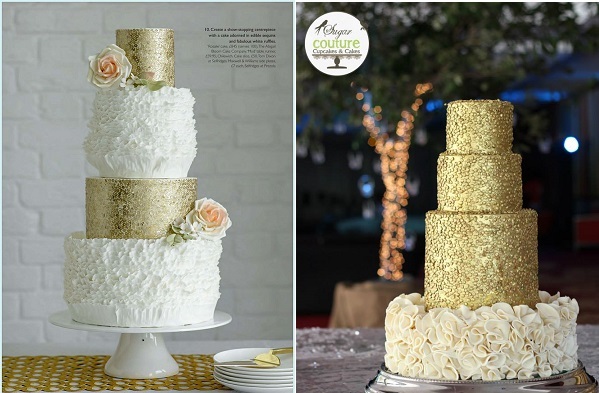 On the right is a luxurious gold sequinned design by Sugar Couture Cupcakes and Cakes. 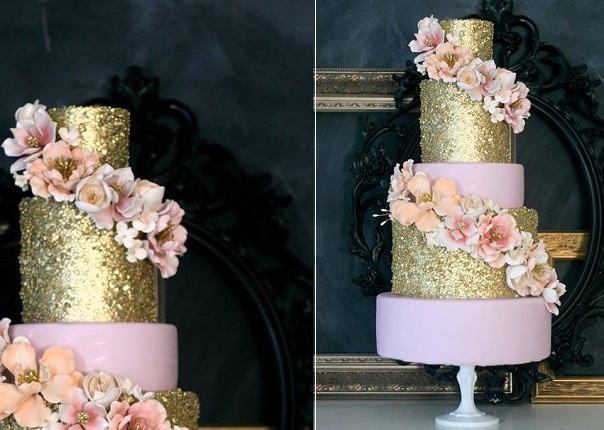 Some more examples of luxury gilded gold confections from The Caketress, below. 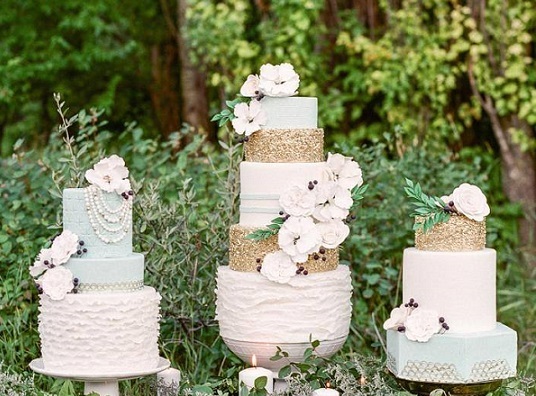 A fabulous trio of wedding cakes in on-trend sage green paired with gold sequins for a touch of vintage glamour by Jenna Rae Cakes (with Brittany Mahood Photography and Ashley Illchuk). 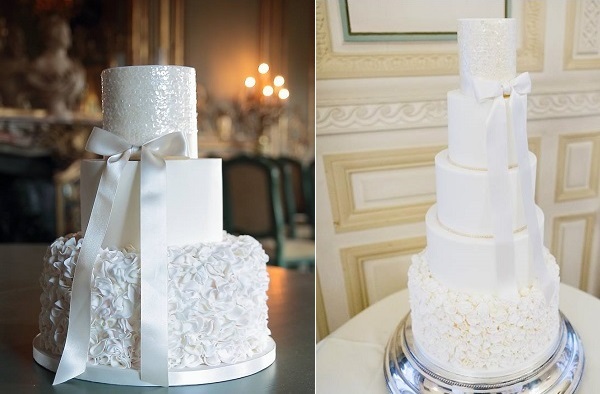 Cotton and Crumbs offer a sneak peak at one of their eagerly anticapated new designs (below left) and on the right, a towering wedding cake design by The Abigail Bloom Cake Company, featuring a top tier embellished with the palest of gold sequins for a delicate hint of sparkle. 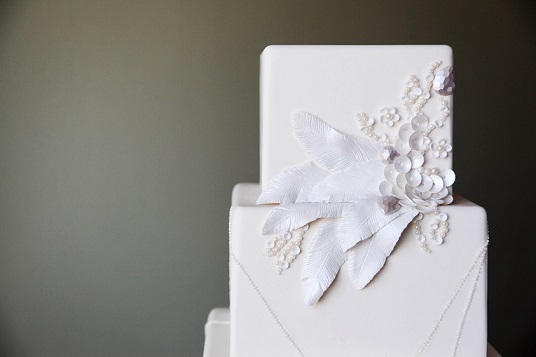 More subtle white sequins for a unique effect in a design created by The Abigail Bloom Cake Design, below. 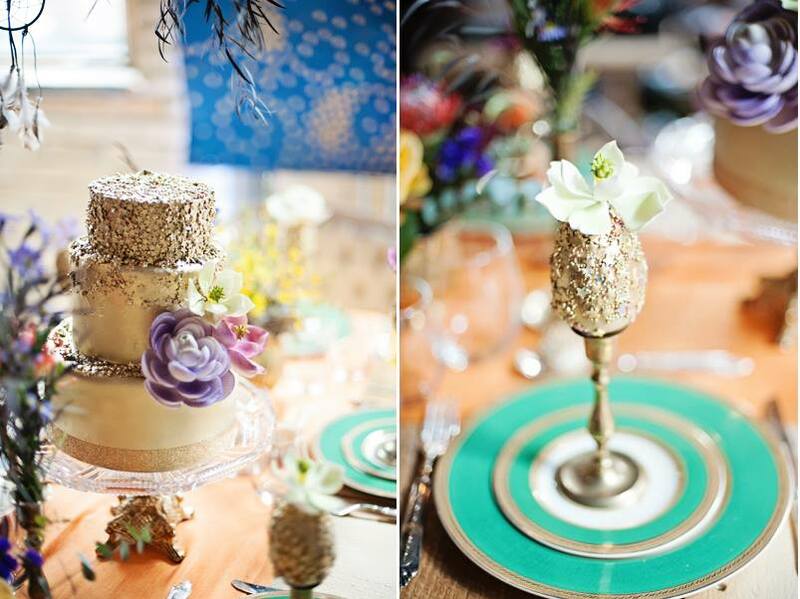 Pale gold sequins are again used for a hint of sparkle, this time in a contemporary wedding cake design below – another elegant cake from the Abigail Bloom Cake Design collection. 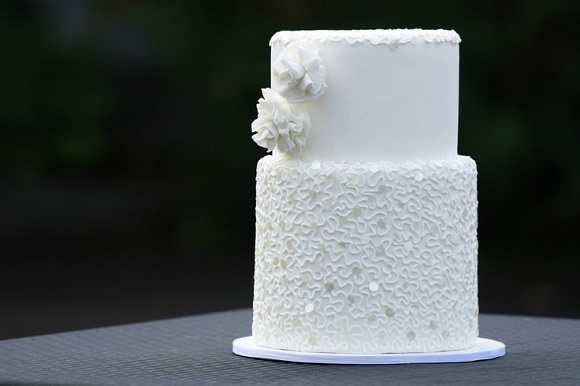 Clear sequins add a beautiful hint of sparkle to the lace wedding cake design below by Short N’ Sweet Bakery & Cafe, Hawaii. 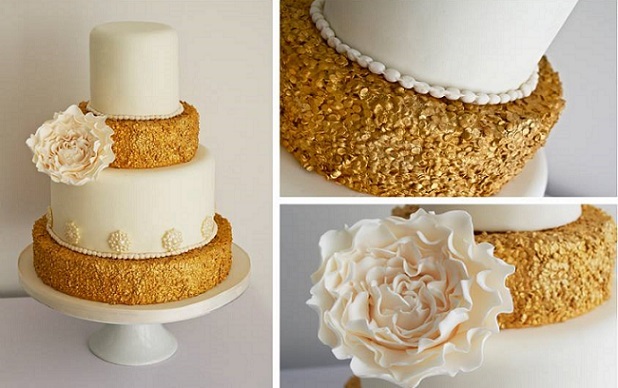 Charlotte Tyson of Sugar Ruffles incorporates edible gold sequins in her vintage wedding cake design below. 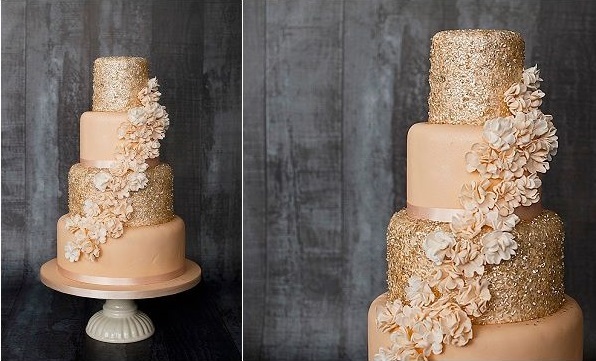 Amanda’s Cakes, UK created a beautiful vintage gold and peach sequinned design below – two colours that work fabulously together (image by Blue Lights Photography). 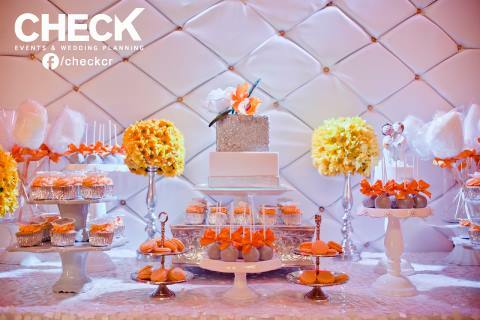 More silver sequins from Sugar Couture Cupcakes & Cakes below teamed with bright summer florals (image via Check Events and Wedding Planning). 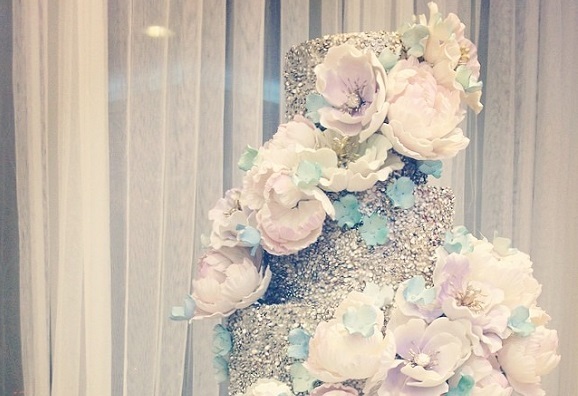 A close-up of Sugar Couture’s silver sequins wedding cake below. 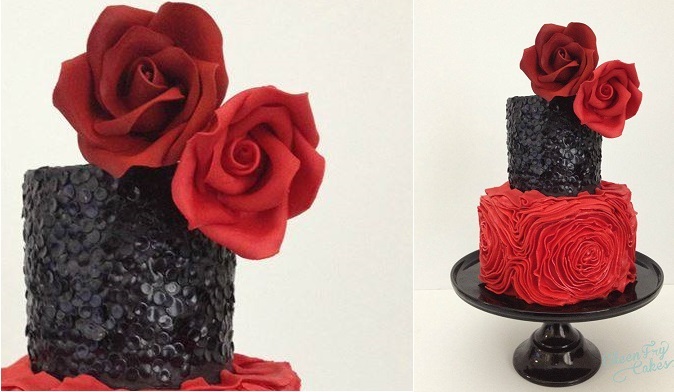 Eileen Fry Cakes, created the luxe sequinned cake design below in striking ruby red and black (based on the technique from Kara’s Couture Cakes sequins tutorial above). 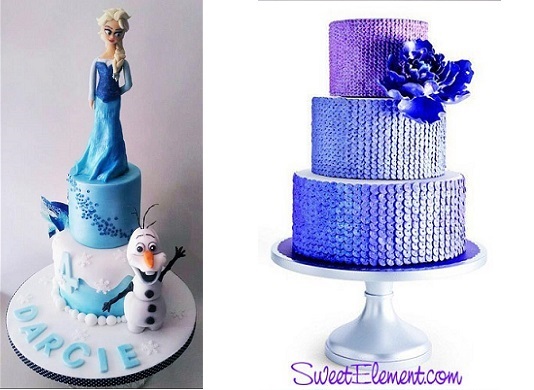 Sequins aren’t just for wedding cakes either, the UK’s brilliant Time for Tiffin added a touch of magic to this beautiful “Frozen” cake design below with a flurry of sparkly blue sequins. 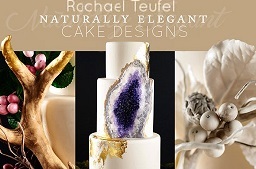 And on the right, Sweet Element have created a striking design using a single colour purple sequin embellishment. 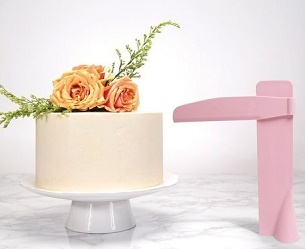 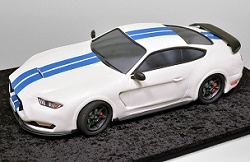 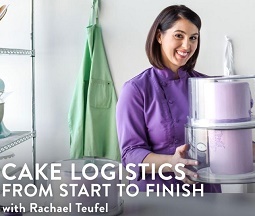 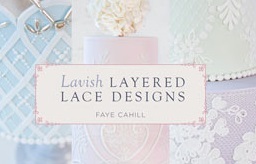 For more on cake trends and cake design inspiration, check out our Facebook page. 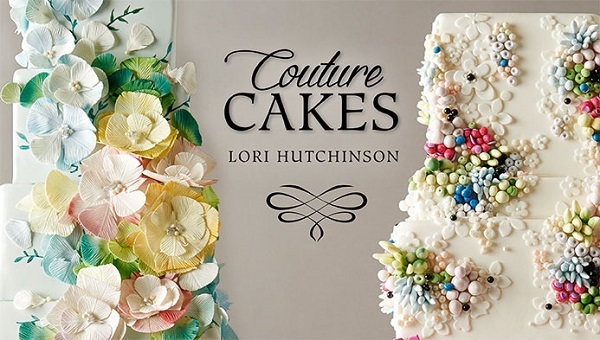 Learn from the first lady of sequins herself, Lori Hutchinson of The Caketress how to create a gold sequinned masterpiece in her new Craftsy class: Couture Cakes. 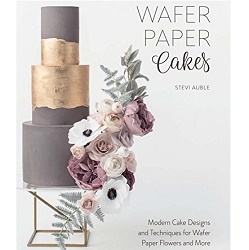 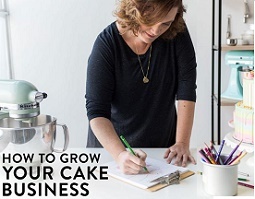 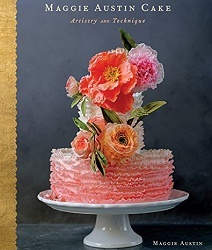 Embellishing your cakes with edible sequins is also covered in Erin Gardner of The Wild Orchid Baking Company’s latest Craftsy class, Cakes in Full Bloom. 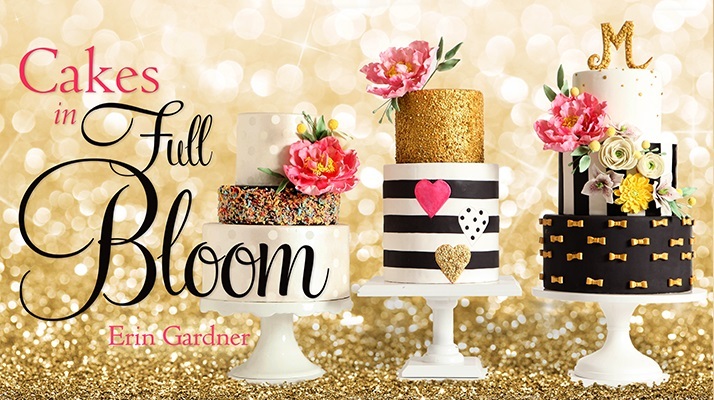 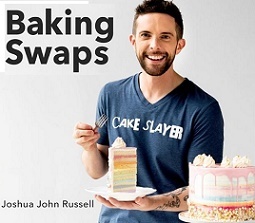 You’ll find more details here: Cakes in Full Bloom.